This ability allows the Knights to raise the strength of troops by extra-recruiting citizens. The lord can also upgrade lower rank troops up the tier. Thus, each Knight skill level allows the lords to recruit more bowmen, swordsmen, monks and cavalry at the cost of reducing the amount of lower level recruits. This ability is available to Holy knights instead of Training. It increases the efficiency of "Rapid", "Stoneskin" and "Chastise" spells. The final effect is [Base effect*(1+0.02*faction skill level)]. Agents of death use the ancient black art of necromancy to raise immense hordes of skeletons, which serve as the backbone of their powerful armies. Necromancers’ unique racial ability lets them recruit additional Skeletons or Skeletal Bowmen, whose number depends on the character’s faction skill level. This ability is available to Unholy Necromancers. They keep Necromancy, i.e. the ability to fill their reserve with skeletons, but are unable to take reserve skeletons into battle. · When the lord resurrects a stack, it is advanced on the initiative bar by 50% + 3% * [lord's faction skill level]. Mini-artifact effects are hidden from other players and are only revealed in combat. in case of area of effect damaging spells, [final damage]=[normal damage]*([spell area]+[faction skill level])/[spell area]. This damage increase has no effect with the "Firewall" spell. Thanks to this ability, elves gain a chance to inflict critical (double) damage in combat to a stack of creatures of certain types. Favoured enemies are chosen in the castle, in the "Avengers' guild" building. You can switch your favoured enemy at any time. The total number of favoured enemies is always 15, one for each faction/class, regardless of your faction level. Elvish troops cannot be chosen as favoured enemies. All monsters at hunt are regarded as favoured enemies, regardless of who is chosen as one, except elvish faction creatures. Chance of dealing critical damage: 5%+4%*[Elf skill level]. This ability is available to Charmer Elf. The lord's knowledge parameter increases by one point for every four points of attack. The lord also accumulates spell power during the battle by taking and dealing damage. Accumulated spell power cannot exceed [lord's attack]*(70%+3%*[faction skill level]). "Imbue arrow" faction ability provides the lord with an additional spell imposed together with the lord’s attack. If the arrow is used, it grants 20% pierce through magic resistance when casting this spell. It is known that Barbarians spend their lives in constant military training. At peace or at war, they seek perfection in their combat skills, and know how to use every second on the battlefield to their favor. Thanks to the "Combat readiness" ability, every stack of Barbarian troops led by a lord accumulates damage to-be-dealt whenever it spends its turn without attacking, up to a maximum of 50% extra damage. Damage increase rate: 1%*[Barbarian skill level] per creature turn. The damage increase is cumulative for every stack independently, it resets after each attack of the stack. Tribal spirit points are also expended whenever creatures take damage to dampen that damage. For Tribals, dampened damage equals [50% + (faction skill level) * 2%]. Tribal spirit points lost equals [1200 * damage dampened / total current HP of stack]. Tamed wyverns No 'Tribal spirit'. The Tribals can also perform Rituals which require mana, but spell power has no influence on them. Dark Elves are well known for their thirst to natural magic forces as part of a creation process. Throughout ages they stored knowledge and their sense of battle became their intuitive second nature. That’s the reason why Dark Elves possess their unique racial ability that separates them from other factions. For example, all of the creatures in the army of 10th faction skills level hero that has Spell Power + Knowledge = 30, will gain +6 Defense. The unique racial ability of the alternative Dark Elf class lets you summon dungeon creatures to aid you in battle. Each level of Magic Guild built in your castle unlocks one tier of dungeon creatures. If you have the Beastmaster talent, you will summon the upgraded version of each dungeon creature. The number of creatures summoned depends on your combat level and faction skill level. Note that a Tamer may only have one type of summoned creature on the battlefield at any one time. The number of creatures summoned is reduced by 10% with each summon after the first one. This is a unique Demonic ability which allows your troops to call for additional reinforcements right on the combat field. The amount of troops summoned directly depends on the numbers of the summoning stack. Any demonic creature led by a lord is able to gate a stack consisting of 20%+4%*[Demon skill level] creatures of the summoning stack. This ability is extremely useful against neutral creatures. You will be able to distract enemy troops with the summoned armies and destroy them with your main forces, use magic or simply run them over with everything you've got. Gated stacks disappear after combat. Note that if only gated creatures are left, the Demon loses the fight immediately, as if he or she didn't have them at all. This ability is available to Darkness Demons instead of Gating. It increases the efficiency of "Delay", "Disruption ray" and "Weakness" spells. The final effect is [Base effect*(1+0.02*faction skill level)]. Technically, Rune magic isn’t really magic, but a unique dwarven racial ability. Rune magic can only be applied to your own stacks when the targeted stack gains its turn. Each stack may have any individual rune applied to it only once per combat. Moreover, each individual rune may only be used once per combat (exception: “Spare rune” talent allows any rune to be used twice per combat and high faction skill level can allow yet additional applying of some runes). 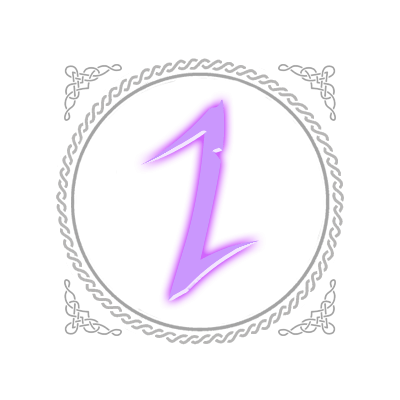 Upon reaching FSL 11 you’ll get an additional rune of this type to use in one combat. 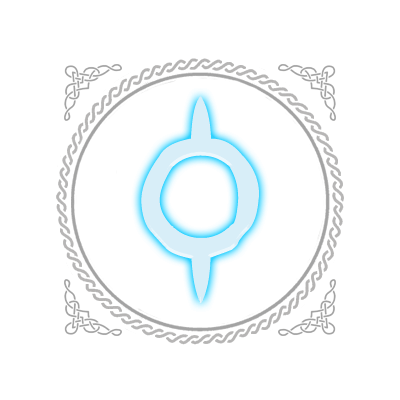 Upon its next attack, the stack which has this rune applied will hit its target twice. This rune can only be used after at least one creature from the stack has perished. More specifically, the current amount of creatures in stack should be lower than the initial amount of creatures in the very same stack at the beginning of combat). The effect of this rune is removed right after the first melee/ranged attack of the creature. Retaliation does not remove the effect of this rune. If the creature kills its target with its first hit, the effect is also not removed. Upon reaching FSL 12 you’ll get an additional rune of this type to use in one combat. Speed of the stack affected by this rune becomes doubled. The effect of the rune is removed right after the affected creature finishes its turn (even if that stack skips its turn by either waiting or defending). 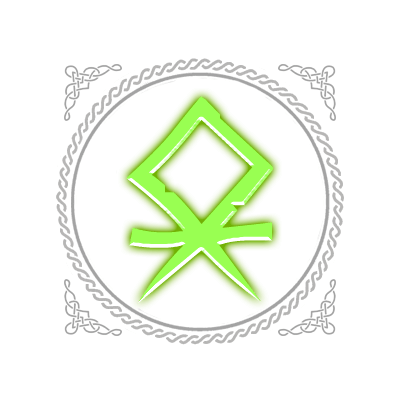 Upon reaching FSL 13 you’ll get an additional rune of this type to use in one combat. 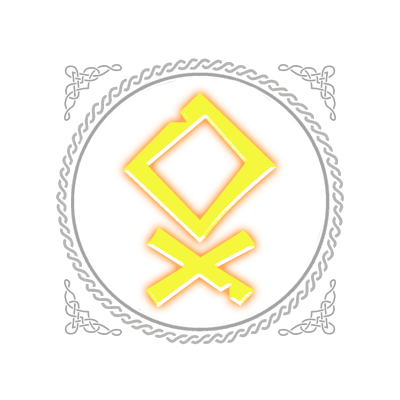 Activation of this rune removes all Darkness magic spells that can be removed by the “Dispersion” spell from the stack affected. When a creature affected by this rune attacks the targeted enemy stack it “steals” a random Holy magic spell from it if available. 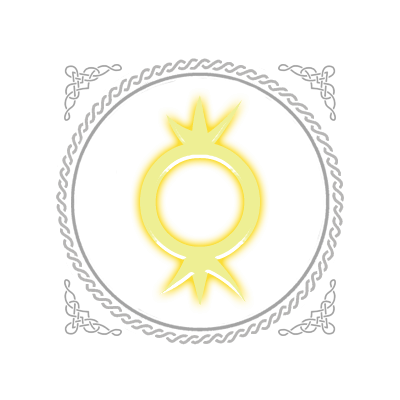 The spell is removed from the target and is applied to the attacker for the same duration as it was on the target. The effect of the rune is removed right after the creature completes its attack. Retaliation does not remove the effect of this rune. If the target doesn’t have any Holy magic spell effects on it, the use of this rune is wasted. The stack affected by this rune becomes immune to damage of 2 random elements out of: Fire, Water, Air, Earth. The creature that activates this rune is under its effect until end of combat. If the lord has “Spare rune” talent learned, this rune can be used again on a different stack, the effect not necessarily granting immunity from the same element. 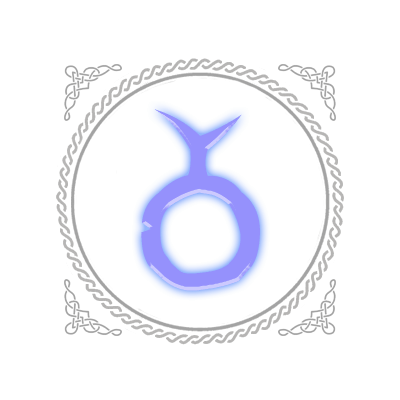 For one full turn (duration between two consecutive turns of a creature with initiative 10) the creature that activates this rune becomes incorporeal. The effect is removed upon/before the creature’s next turn. In other words, the effect will be removed upon their next turn for creatures with initiative more or equal to 10; the effect will be removed before their next turn for creatures with initiative less than 10. The stack that activates this rune will recover 40% of its perished creatures. In other words, the number of resurrected creatures equals 0.4 * (initial number of the creatures in stack minus current number of the creatures in stack). The result is rounded down. For example, there were 100 creatures in the stack at the beginning of combat. 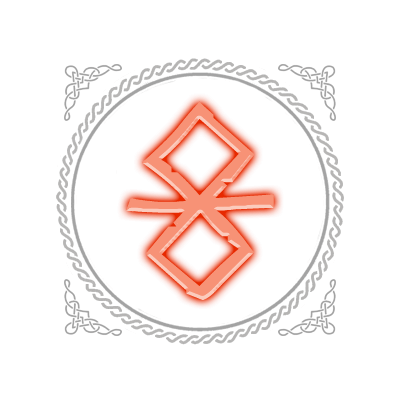 By the time the rune is activated their numbers were reduced to 10. With this rune's activation, (100-10)*0.4=36 creatures will be resurrected. After applying the rune, the stack will count 10+36=46 creatures. Keep in mind that this rune recovers 40% of the number of creatures, not 40% of their total HP. So for example, the stack that initially had 10 creatures and had 2 of them perished, cannot have any resurrected with activation of this rune (40% of 2 is 0.8 which is rounded down to 0), regardless of the amount of the last creature’s HP left in that stack. Whenever the stack under effect of this rune attacks or retaliates, there's a chance that the target loses all accumulated initiative, i.e. is thrown back to the end of the initiative bar. 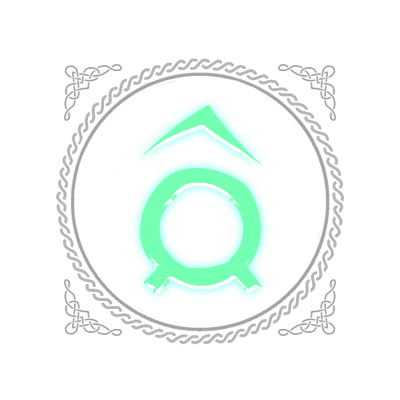 The probability of this triggering depends on the total relative HP of the target and the stack that has this rune activated. 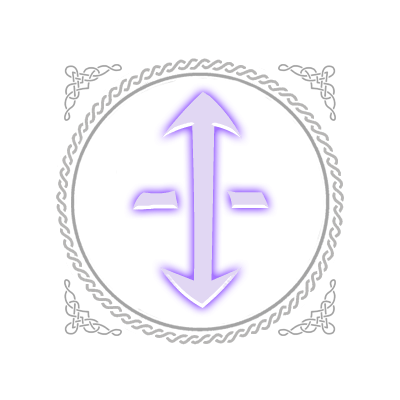 The effect of this rune is removed only in case of its successful trigger (when the target eventually is thrown back to the end of the initiative bar). When the stack with this rune's effect attacks, it will hit all creatures adjacent to the tile its original target stands on. This attack is not retaliated. This effect is removed right after the attack (or a number of attacks if the creature that has this rune activated attacks multiple targets). Ranged attacks by stacks with this rune's effect will have it wasted. If the creature under this rune's effect retaliates, the effect does not trigger and is not removed. 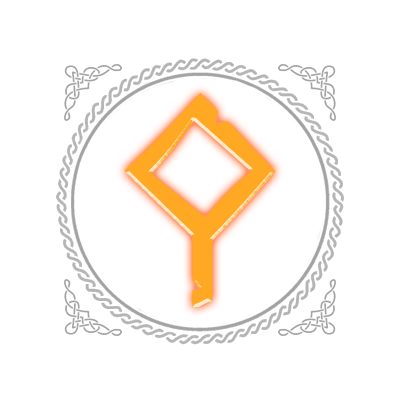 For one full turn (duration between two consecutive turns of a creature with initiative 10) the creature that activates this rune gains +100% to its basic Attack and Defense parameters and takes 50% less elemental damage. This effect is removed upon/before the next turn of that creature. The +100% Attack and Defense bonus is calculated from the creature’s original stats, so hero's stats and faction skill level bonus is not taken to account. For example, a lord with 20 Attack and 20 Defense and faction skill 10 has a stack of berserkers for which original Attack and Defense are 7. Those berserkers will have 35 Attack and 35 Defense in combat. When this stack activates the Rune of Dwarven Divinity its Attack and Defense parameters are increased by +7 each, so after activating this rune, its final parameters will be 42 Attack and 42 Defense. The bonus of -50% elemental damage taken stacks with all other similar effects in the usual (commutative) manner. This rune cannot be applied to Lava and Magma dragons.